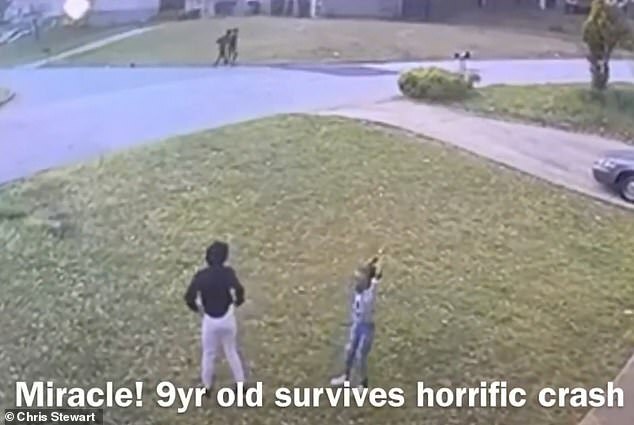 A 'teenage' driver plowed into a nine-year-old girl who was playing in her front yard before fleeing the horrific scene. 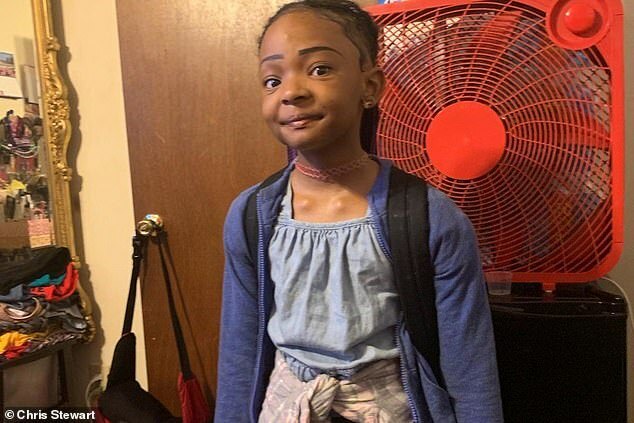 LaDerihanna Holmes was outside her home in Lithonia, Georgia with another girl around 7pm on Friday when the car careered straight toward them. Distressing video shows the second girl running off in one direction after looking back and seeing the oncoming vehicle. 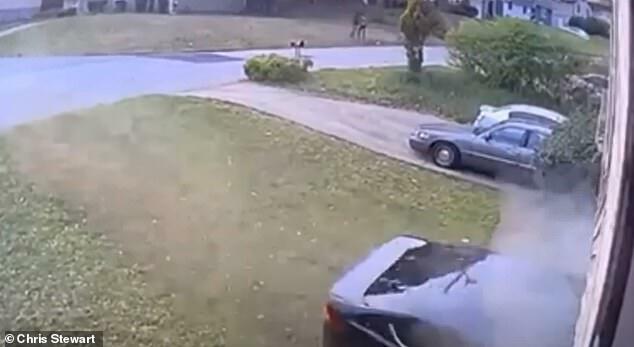 LaDerihanna runs in the other direction, but the black sedan blows past a stop sign and jumps the curb before running her over and slamming into her home. 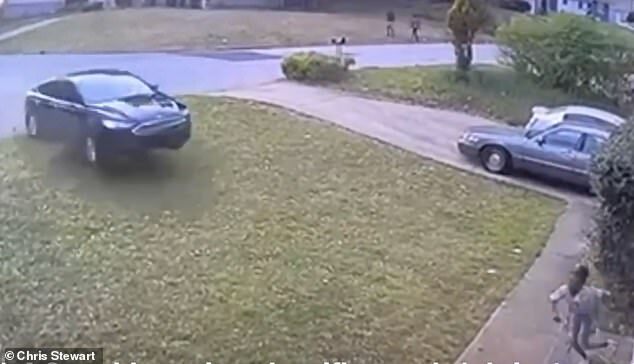 Surveillance footage captured one of the two suspects fleeing from the scene, exiting from the car's passenger side and running across the front lawn as LaDerihanna's family rushed over to help her. LaDerihanna was taken to the hospital in critical condition. She sustained a skull fracture with laceration and a broken pelvic bone in three places, according to the family's GoFundMe page. Her right heart valve was also leaking. Chris Stewart's, the family's lawyer, said it is a miracle she survived.